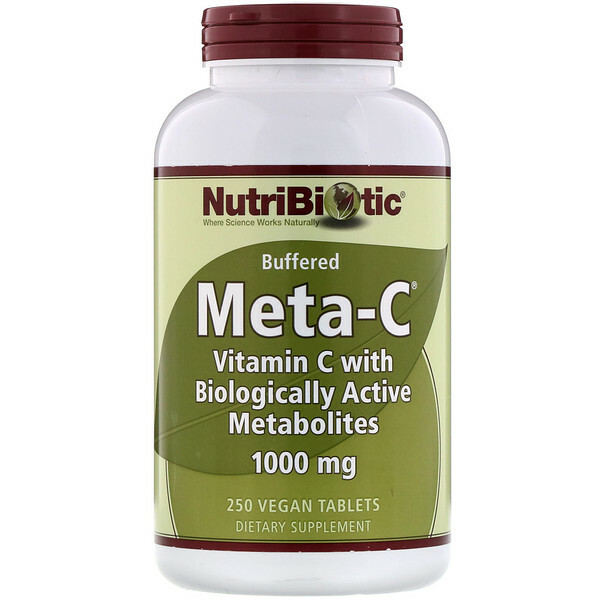 NutriBiotic Meta-C is a unique, buffered vitamin C that absorbs faster and more efficiently than regular vitamin C with no intestinal discomfort. Meta-C is water-processed at low temperatures with calcium, resulting in high solubility and bioavailability with an alkaline pH similar to blood. Vegetable cellulose, magnesium stearate (vegetable lubricant), silicon dioxide (flowing agent), and vegetable glaze coating. 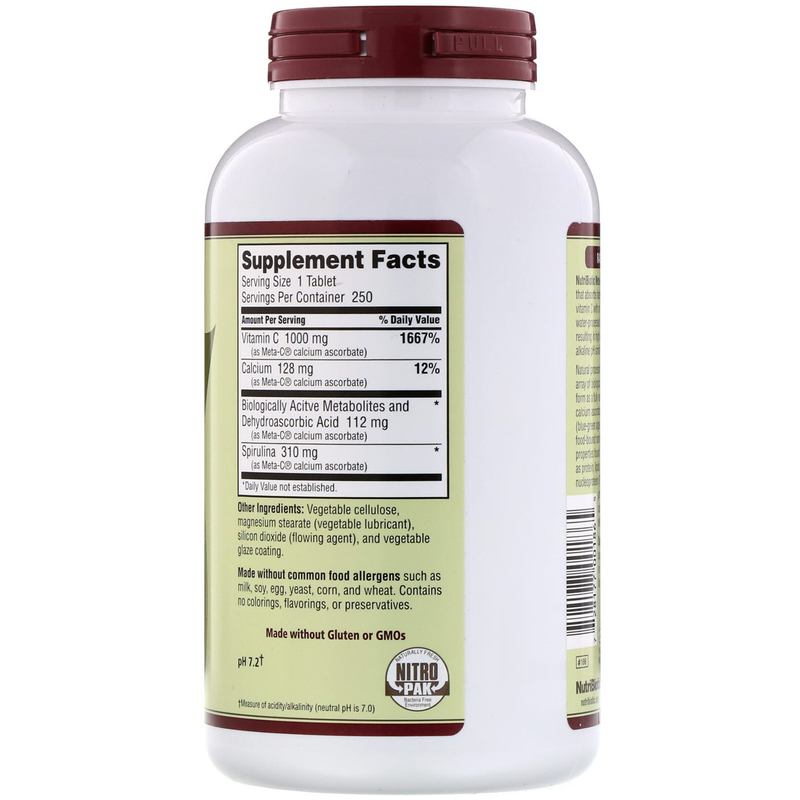 Made without common food allergens such as milk, soy, egg, yeast, and wheat. Contains no colorings, flavorings, or preservatives.